The FA People's Cup returns... enter your AU club now! 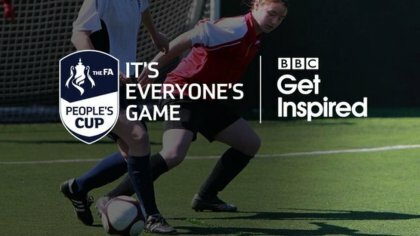 You can now sign up to compete in the UH FA People's Cup for 2019. The People's Cup, which is the largest small-sided football competition in the country, is made up of 15 different categories and we will be hosting both a male and female University category for University of Hertfordshire students. The AU Netball Club are the 2018 UH Female FA People's Cup reigning champions! With two rounds to progress through before the finals are held at St. George's Park in April, and a chance to be at Wembley for the Emirates FA Cup Final in May, could YOUR People's Cup dreams come true this season? Limited spaces available so make sure you sign up soon! Additional Information: All players must be current University of Hertfordshire students and 2018/19 AU Football and Futsal players are not eligible to participate. Additional Information: All players must be current University of Hertfordshire students and only 2 2018/19 AU Women’s Football and Futsal players are allowed per team.